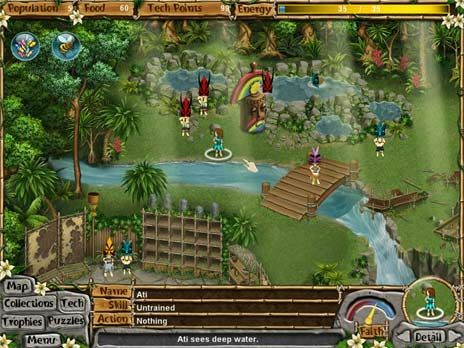 Download Virtual Villagers 5 for free at FreeRide Games! 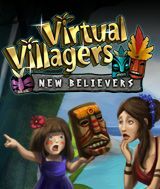 In Virtual Villagers 5: New Believers, the fifth installment of this wildly successful Strategy/Sim series, you get to explore the center of Isola while you reckon with a band of mysterious masked heathens, who do not believe in you. Guide your tribe as they attempt to convert the savages, by dismantling their precious totems and removing their scary masks. Make them believe! We Recommend Downloading the Latest Version of Adobe Flash. Additional offers may be presented to you when downloading our player. Learn more.